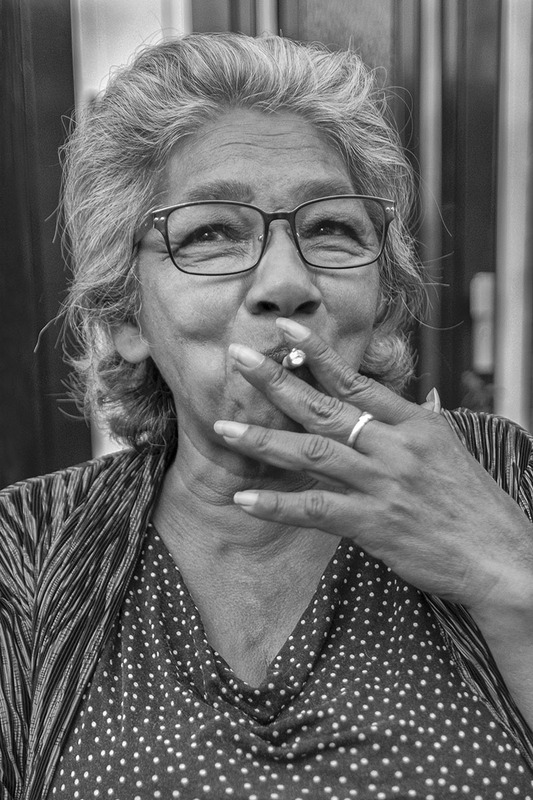 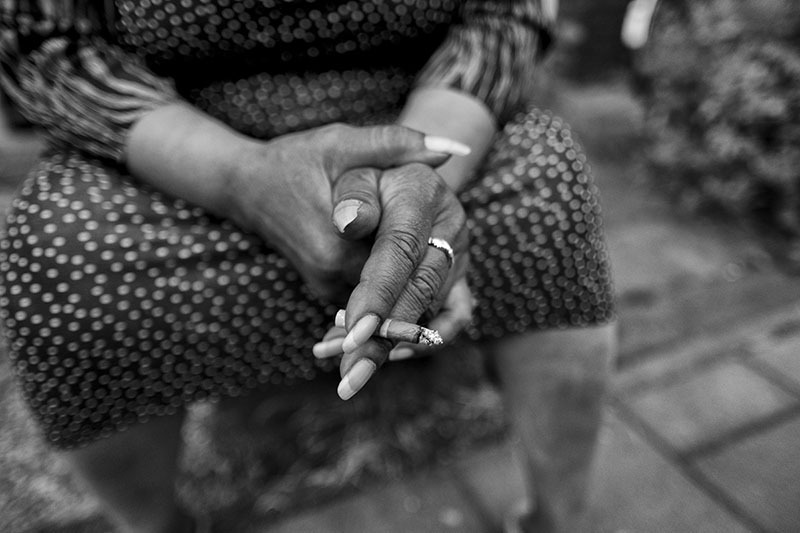 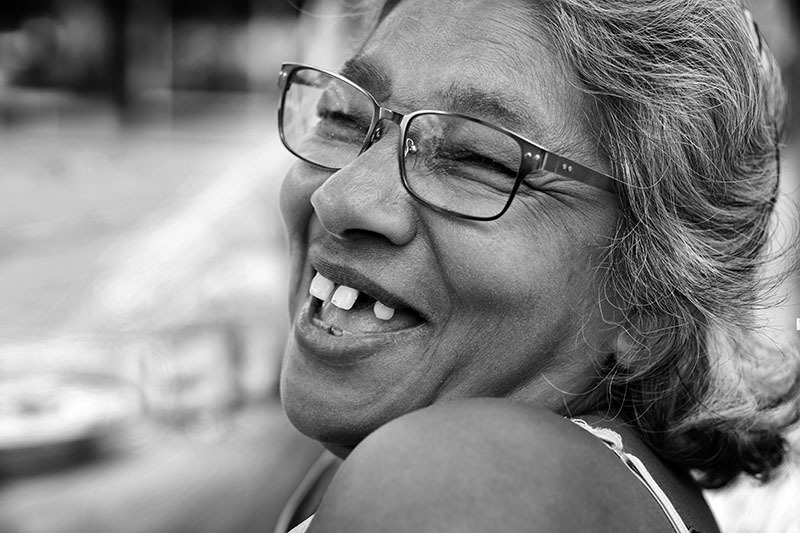 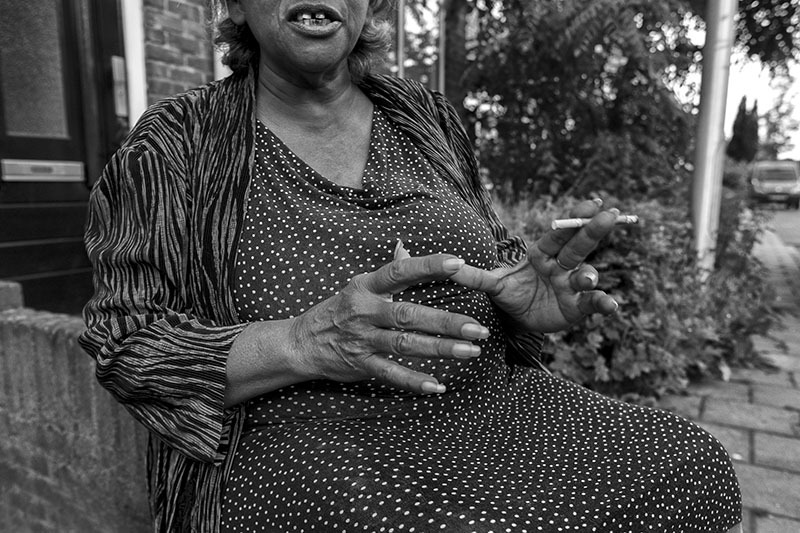 Sunnita is a striking, Surinamese women living in my neighborhood in the South of The Netherlands. 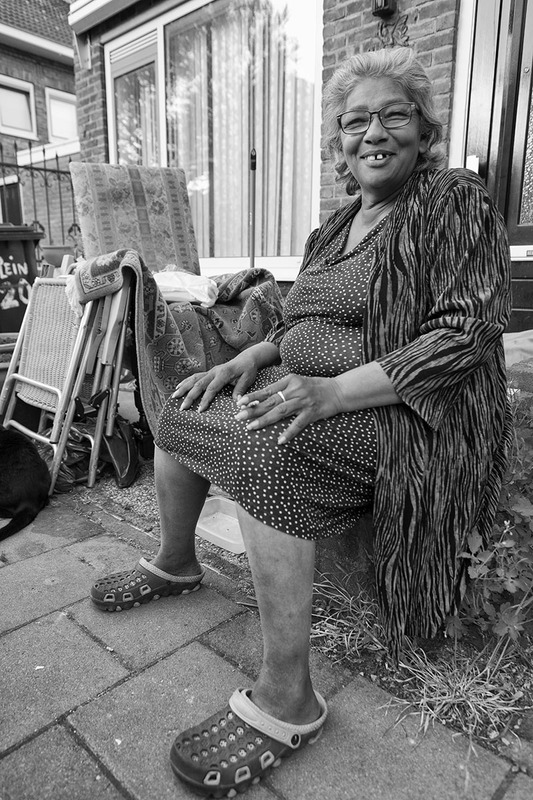 In summer she is always sitting on a bench in the nearby park or outside her house, in the frontgarden, where she collects so-called antiques that she sells on local markets to increase her limited income. 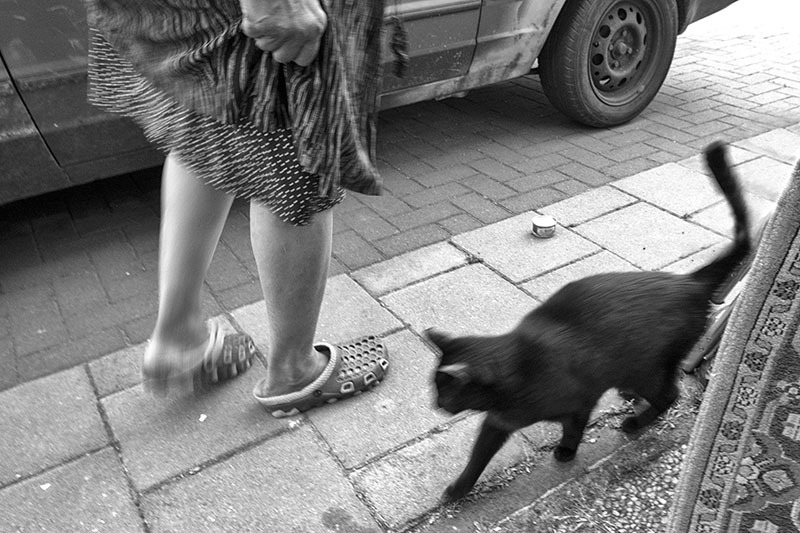 A reasonable part of her income she spends on food for her (street)cats and her little dog, called Lili-Marleen. 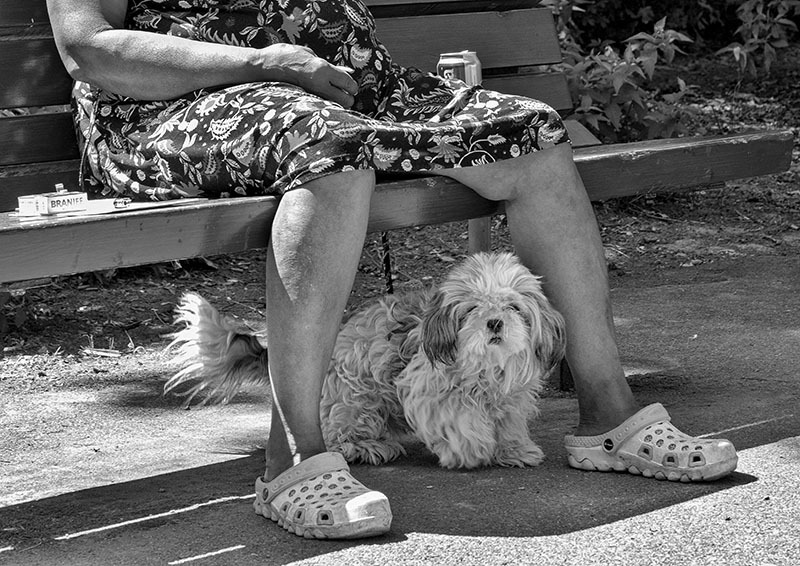 Another one on her sigares and a cold beer now and than.